Congratulations on receiving your new curtains from Curtains on the Net! Now, you’ve got to figure out how to install them properly. 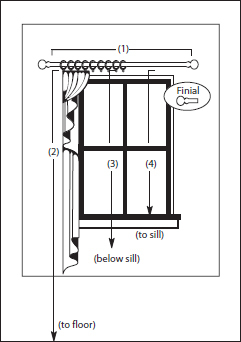 While ready-made curtains are fairly easy to install, it is essential to use the correct screws when installing the curtain rods or tracks. 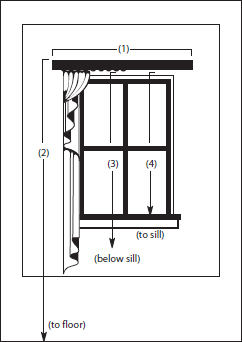 If you’re installing your curtain rod into timber it is important to keep a few things in mind. Screw in all your screws loosely before screwing them in tight to make sure the curtain rod is level and flush against the surface. Gyprock is the most common material house walls are made of. Just using a normal screw means that your curtain rod will fall out or rip bigger holes in the wall. Using a product such as “Wall Mates” (available at most hardware stores) means the weight of the curtain rod is supported when you screw the brackets on. Wall Mates is a larger screw that goes into the wall before you use a normal screw to fix the bracket to the wall. Make sure to make where the screws are going before you screw the Wall Mates into the wall. Where possible use a longer screw to fasten directly to the wall studs behind the gyprock. Aluminium is slightly easier to install into. Don’t need to pre-drill as long as you are using “self-drilling” screws. These have a drill bit on each screw just like the ones in the picture. Brick and masonry is also a simple installation, but needs more work. You will also need a specific masonry drill bit as a standard drill bit won’t work. Simply hammer the masonry plugs into the wall and then fix the bracket to the wall with normal screws (make sure they are as long as the wall plug). Eyelet Curtains – To install your eyelet curtains simply weave onto your curtain rod before hanging. Pay attention to the outer ends and which way the first weave will face (inside or out).